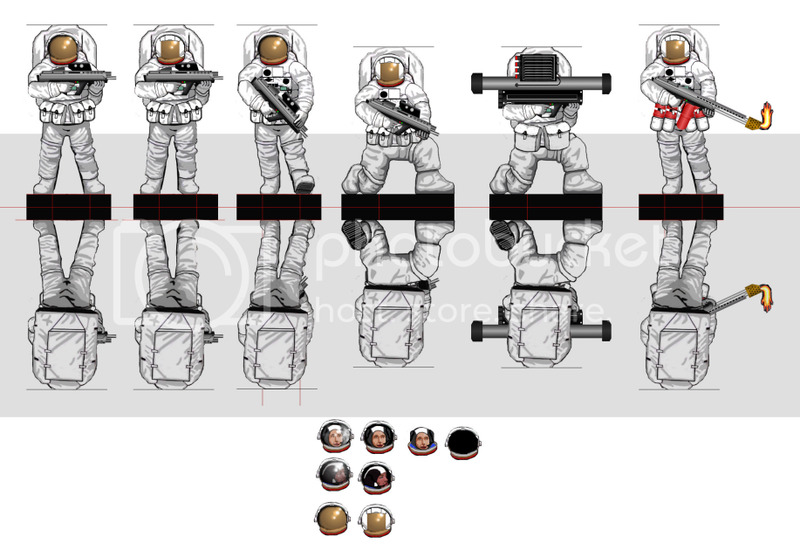 Here is the start of what I hope will be two ten figure sets. 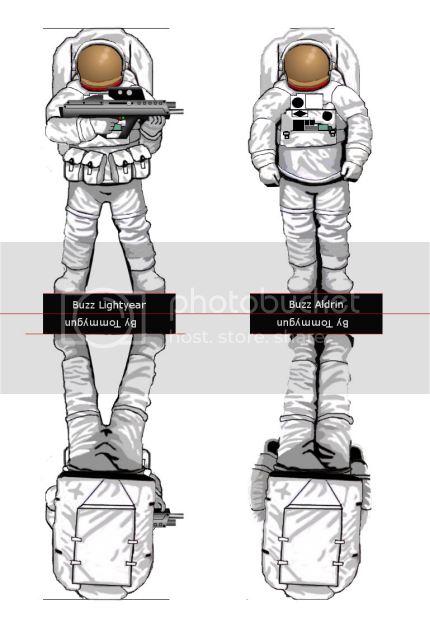 My drawing ability in Gimp is limited, so there will probably be limited differences in the poses. They mainly will have different tools or weapons. One set will be armed the other just tools. 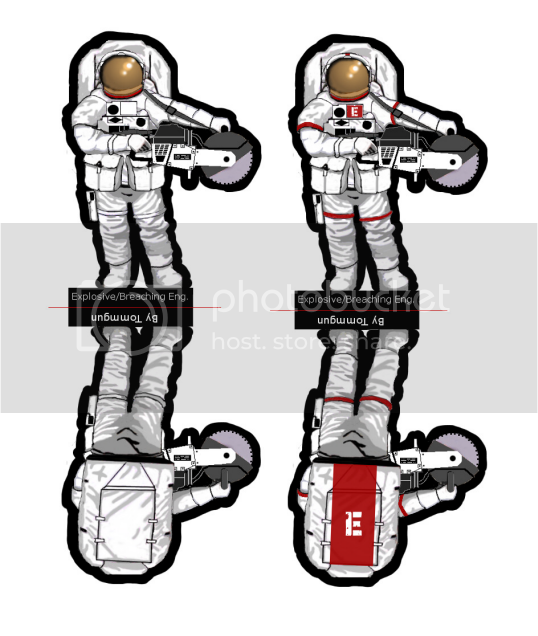 I may also do a set of floating EVA suits in those NASA Manned Maneuvering Units (MMU). I may need to design a printable flying stand for them? I got the backside done so I may start sectioning him off into parts tonight. I like to call it dissecting "Buzz". I'm of an age that I only know Aldrin. OK, I have my first two figures done. I'm having a lot more fun doing these guys than I though I would at the start. This could get addictive. Tonight I may work on tools and a rocket launcher. 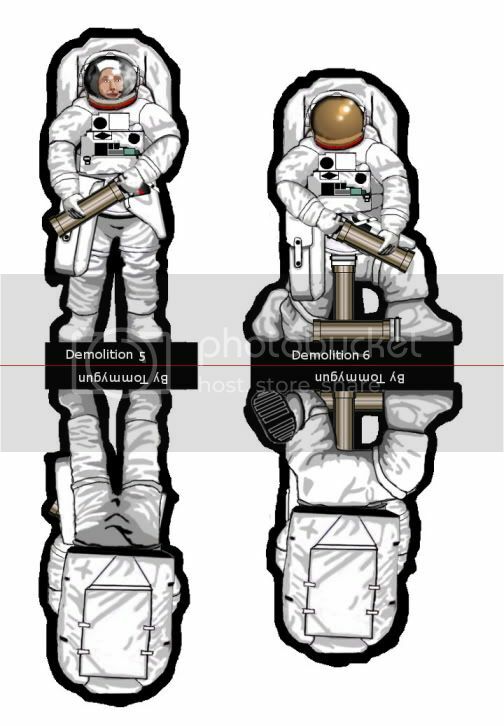 These figures are all white, but some will have a small red strip on their arms and legs and a large one down the back pack with a number on it. Ideally I would like different squads to have different colors. They look good, but the helmets/visors seem kinda off. I'd expect them to be highly reflective, like they are in (what a movie-goer accepts as) reality. Then again, what should they reflect? Open space, the derilict hull of an organic battle hulk or the insides of a NASA bathroom? Probably better the way they are, although I think little shininess would do them good. OK, I increased the shine mark on the visor. 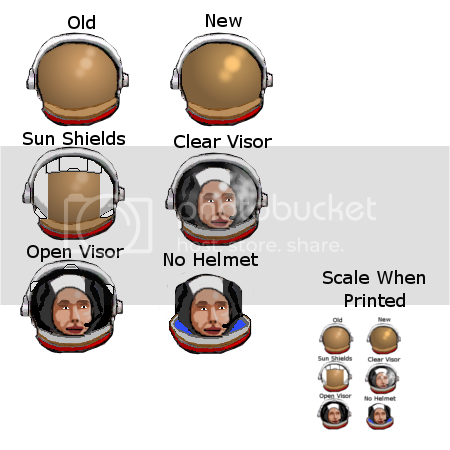 There are 5 helmet options now too. To give the illusion of an highly reflective surface the "spots" must be full white, no transparency. Then, the illusion of the glass comes from very defined border of the spots (no blur). 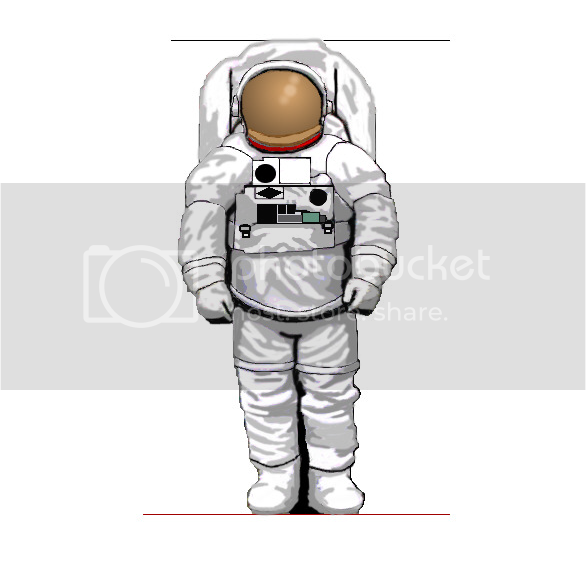 The visors of astronauts are made by more layers: the transparent one is under and the sun shield is over. So reflection/refraction have to be "doubled" and shifted, 'cause the two surfaces are both reflective but are not co-planar. Thanks for taking the time for that Parduz. 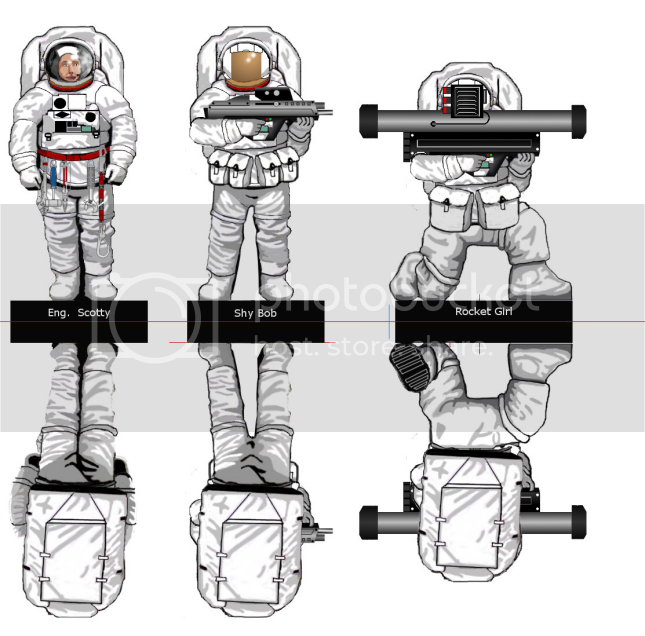 Ultimately the subtle details like this will be lost, when it is scaled for printing. It will be good for me to practice it though. It looks like the girl is looking at the rocket launcher, not at a target. Is that intentional? Also, how would someone know that she's a girl? I was just joking about the girl. You could have the creature from alien in there and you wouldn't know it. 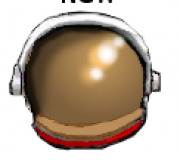 Helmets on space suits are locked in the forward position. You turn your head inside the helmet. This is why the helmets are so big. 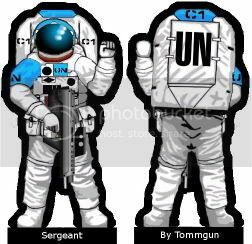 The main reason for this is when a suit is pressurized, it becomes very stiff and turning the helmet with the head would be difficult. With a modern missile launcher, you are looking at a video screen, so it doesn't really matter which way your head is pointing. I can make the electronic box on top of the launcher larger to block out the head more and prevent any confusion. I need three more riflemen and a squad leader. You'll need to make a large black border around the whole figure to allow a better cutting. The only wrong thing is... flames? in the void? Bending up? You never know which kind of vacuum this set of space marines is designed for. Maybe there is air in the void (eg. the Star Wars void transmits acustic). (eg. the Star Wars void transmits acustic). No, it doesn't - the ship's computers mmimic sounds based on their sensor readings... Sorry, just heard that argumet too often not to use it. And besides, it's fantasy after all, the whole lot of it. the Star Wars void transmits acustic). Yes... and the ships moves like they are flying (no newtonian movement) and they goes down to planets just pointing to ground (no deorbiting - re-entry). About the acoustic, I've found, some year ago, a sample of how the battle scenes should have been, so perfect silence in the "void" scenes.... man! it was boring a lot! The fact is that movies that wants to be fun needs some licence to be fun.... on boardgames and miniature games we may want a better degree of "realism" (or "believable"). So, in a sci fi game, I'm more prone to accept beam weapons than flames in the void.... and my willing to believe in "impossible stuffs" is really thin with that great, EXISTING space suits. Hope you get what i mean. I included a flamer, because many SciFi games have them in their rules. 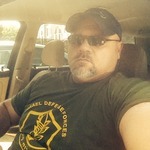 I do know that there are forms of Napalm with oxidizers in them that allow them to burn without oxygen. It's all in one tank as well. This type will even burn under water, as they were designed to be very difficult to put out. I kept the flame very conventional, so it will be easily recognized. This guy is based on an Army assault breaching engineer. In addition to explosive they use diamond cutting saws and other tools to cut through obstacles. 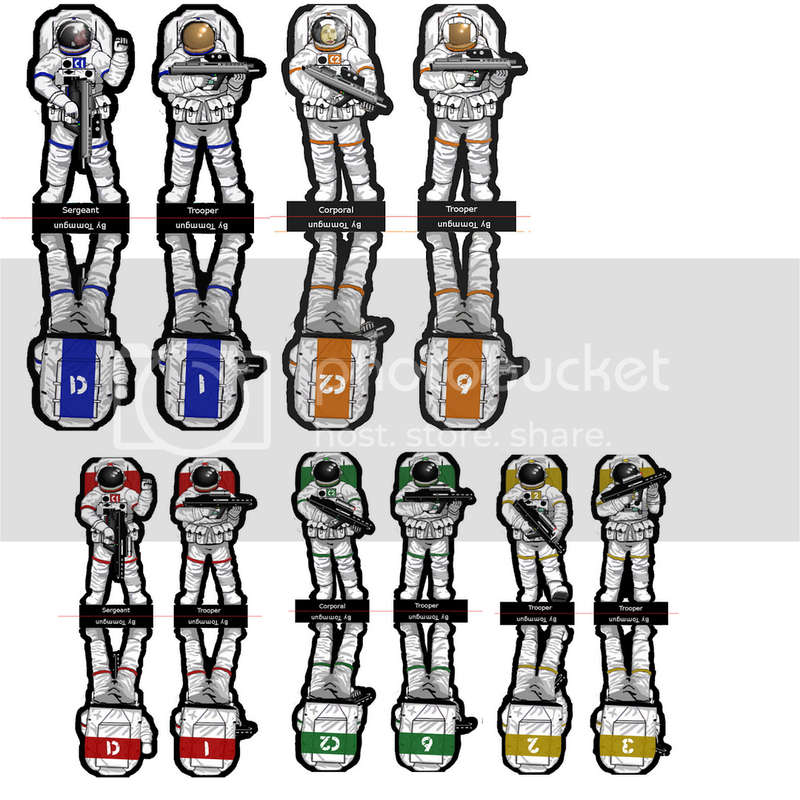 I have the plain white team done, but I am wondering about the colored ones. I could do teams in red and blue if I have the time. good work . Are these already to print ? I need to do a test build first. Then I need to find my pdf converter. Right now I have about 8 of them on my machine and most of them compress the file and degrade the image. So I need to figure out which one doesn't do that. My software skills are one step above a monkey with a typewriter. Demolition Teams now available to download. 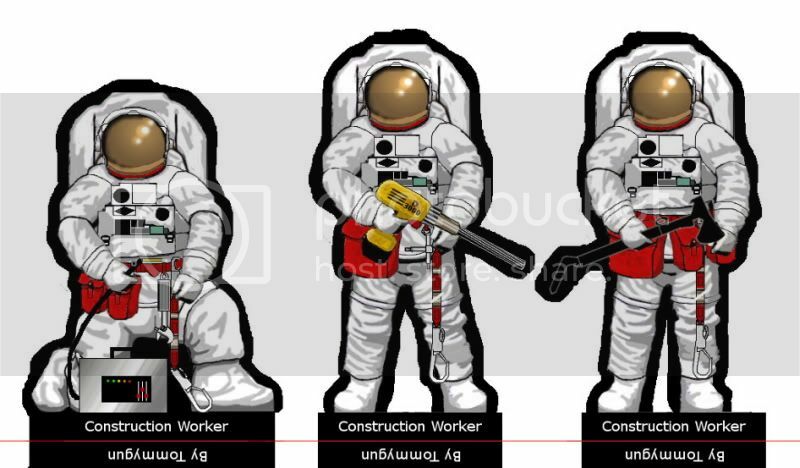 Science Team and Construction workers now available. I hope to have a UN force next and jump packs too. Then a 2.5d moon buggy and a full 3D Moon hopper.